Lazio midfielder Sergej Milinkovic-Savic is reportedly looking to leave his current club and a transfer to Barcelona seems to be his priority. According to Don Balon, Lazio do not want to sell easily and will ask for around €75million for their star player’s signature. However, this shouldn’t be too tricky for clubs like Manchester United and Barcelona to pay, with many of Europe’s top sides linked with Milinkovic-Savic in recent times after his starring displays in Serie A. The Independent recently mentioned that the Serbia international would be United manager Jose Mourinho’s preferred target to replace the struggling Paul Pogba after this tough start to the 2018/19 season. It does seem like United could do with something different in the middle of the park, so they may see it as good news that Don Balon are claiming Milinkovic-Savic is seemingly so eager to leave the Stadio Olimpico. 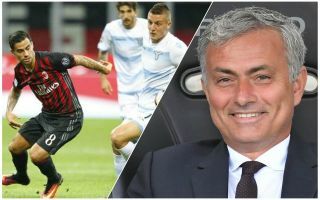 Sergej Milinkovic-Savic to Manchester United or Barcelona? The 23-year-old is mentioned in the piece as being keen on playing in the Champions League, though it also notes that he’d be tempted by Barcelona due to playing alongside Lionel Messi. Still, one imagines MUFC have it in them to enter the running if they want to and bring in an ideal Pogba replacement if he ends up moving on. Signing Milinkovic-Savic could even free up Pogba to move to Barcelona, thereby solving the Catalans’ midfield problems, though Don Balon recently claimed the France international was leaning towards joining Real Madrid over Barca.